This allows you to animate the size of the particles. 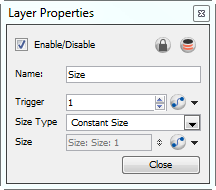 Use the Size Module's Layer Properties panel to adjust the effect's parameters. • Size Type: If you choose Constant Size, then all particles will be animated to have the same size. If you choose Input Shape instead, then you must input a Region into the in-port of the Size module. It will use this region to determine the size of the particles. 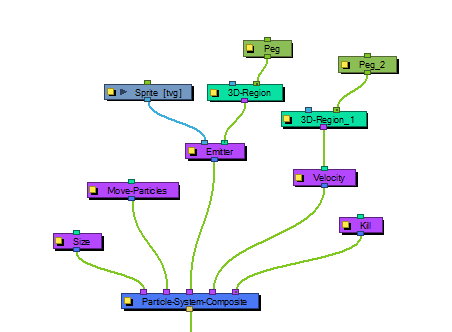 • Size: Change this value to adjust the size of the particles.